The reactors at crippled Fukushima nuclear power plant are not stable, says its former head. He urged for international expertise to be called in to make the site of one of world’s worst nuclear disasters safe. "People won't come back to Fukushima until the plant is stabilized and we still need to find a way to do that," Masao Yoshida said as cited by The Australian newspaper. "We have to bring people in from around the world. It will require people, technology and wisdom from all corners." Yoshida, 57, was speaking on Saturday after a 17-month silence in a video message, in which he described his experience of leading a desperate drive to tame the disabled plant. He and his men, dubbed the Fukushima 50 in Japan, were working to hold down melting down reactors at the facility hit by the 2011 earthquake and tsunami. He said he had no right to go public with his warning until four investigations into the disaster were concluded. Yoshida, who is currently in hospital suffering cancer of the esophagus, said he and his workers cooperated with the probes, but since their human stories did not enter the official reports, he agreed to an interview. "It was clear from the beginning that we couldn't run," Yoshida said. 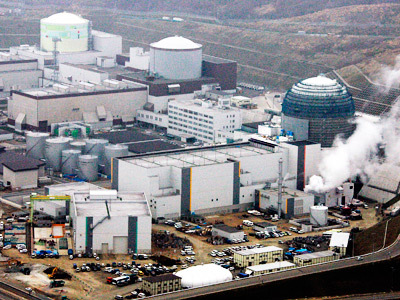 "Reactors five and six would have also melted down without people staying on site. "My colleagues went out there again and again. The level of radiation on the ground was terrible, yet they gave everything that they had." 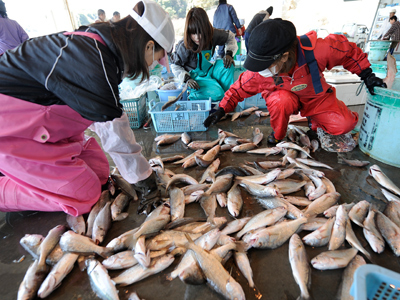 The former Fukushima manager said he feared for his life three times in the first days of the disaster. Three huge explosions of hydrogen released from water injected into reactors rocked the facility, ripping through the roof and sending debris flying. "At the time we didn't know they were hydrogen explosions," he said. "When that first explosion occurred, I really felt we might die." Yoshida said he believed at least 10 of his workers had been killed in the first explosion and was stunned when he found out that they escaped with but a few injuries. At one point he encouraged colleagues in the seismic shelter room to write their names on the whiteboard as a memorial in case they were all killed. "I probably wanted to record all the names of those who were there fighting to the end," he said in the interview. One worker said he felt like he was writing on his own headstone, Yoshida recalled. 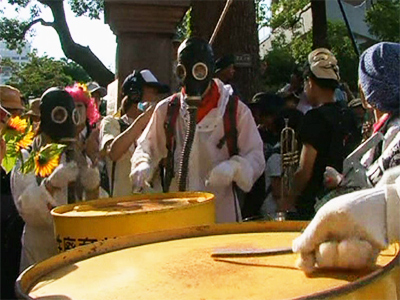 He said he regretted that the disgrace that fell on TEPCO, the operator of the plant, has also marred its workers. They are not able to wear the company uniform in the open and some of them had their planned marriages cancelled after the disaster. 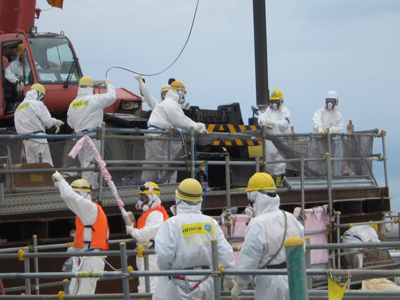 Yoshida made no comment on whether TEPCO, planned on withdrawing his team from the site. Japan’s former Prime Minister Naoto Kan, who was in office during the incident, said the company was preparing a pull out and that he ordered otherwise. 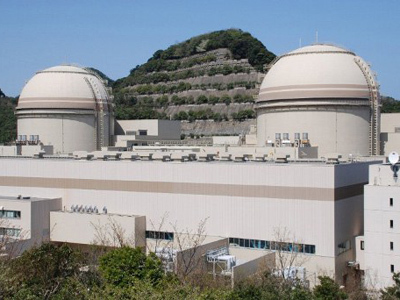 Some in Japan hold Yoshida as a hero for refusing orders to stop the injection of seawater into one of the damaged reactors, thus preventing the disaster from becoming even worse. There is also a video shot in the command bunker that TEPCO recently released showing Yoshida suggesting he lead a suicide mission to restore the cooling of the reactors if the situation deteriorated. Yoshida did not touch on either of those episodes in the interview. The Fukushima plant is currently in cold shutdown, with no nuclear reactions happening inside the reactors. There are fears that the site could be further damaged by a new earthquake, should one occur.